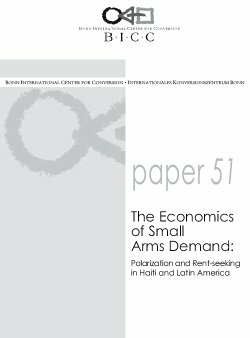 This paper provides an economic account of demand for small arms as a response to politicoeconomic motivations arising from polarization and rent-seeking. Polarization has already been employed in the existing literature as a measure of the potential for conflict between groups of opposing political and economic interests. It is a measure based on sound economic theory, employing a simple model of rentseeking.